Millions of US adults with dental insurance choose to forego regular preventive dentistry visits. Patients give numerous reasons why they avoid our office, but some of the most common are dental fear or anxiety, financial stress, and lack of time. 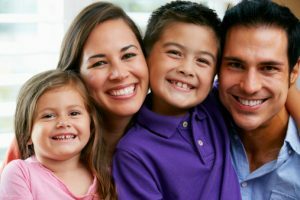 At Aspen Dental Care, we invite you and your family to reconsider making visits to our office twice a year part of your routine. Not only are patients who visit us regularly more likely to keep healthy, natural smiles for a lifetime, but regular office visits actually assist in diminishing dental anxiety and save patients time and money. Prevent oral health issues – the most important reason to visit us twice a year is that these visits help patients prevent oral health issues from ever happening. Early diagnosis – helps us to preserve natural dental structure, reverse damage done by gum disease and bruxism, and treat other oral health concerns that are less noticeable to the untrained eye. Conservative treatments – early diagnosis allows our team to offer treatments that preserve natural dental structure. Save time and money – most dental insurance plans cover preventive care at 100%, and cover advanced services at a smaller percentage, and most advanced procedures require two or more visits to complete. Healthier teeth – plaque, a sticky biofilm that clings to teeth, over time crystalizes bonding to teeth. This hardened substance is tartar, and can only be removed with professional cleanings. Whiter smiles – regular cleanings protect and fortify your pearly white tooth enamel keeping smiles whiter. Reduced risk for gum disease – gum disease is one of the most common illnesses among US adults and is caused by the buildup of plaque and tartar at the gum line. Regularly removing this buildup protects your smile from the detrimental effects of gum disease. Double check your care – our hygienists love to help patient improve their oral health, and we answer questions and provide tips for at-home care during cleanings. If you’re new to the Ft. Collins area or in need of a new dental practice home, call the friendly team at Aspen Dental Care today. We look forward to helping you achieve your healthiest smile in 2016.